Usually when I finish a new book, I mention it in this blog and give a quick statement about it. If it’s a big classic of SF I might write a full reaction and review for my “SF Academy” series. 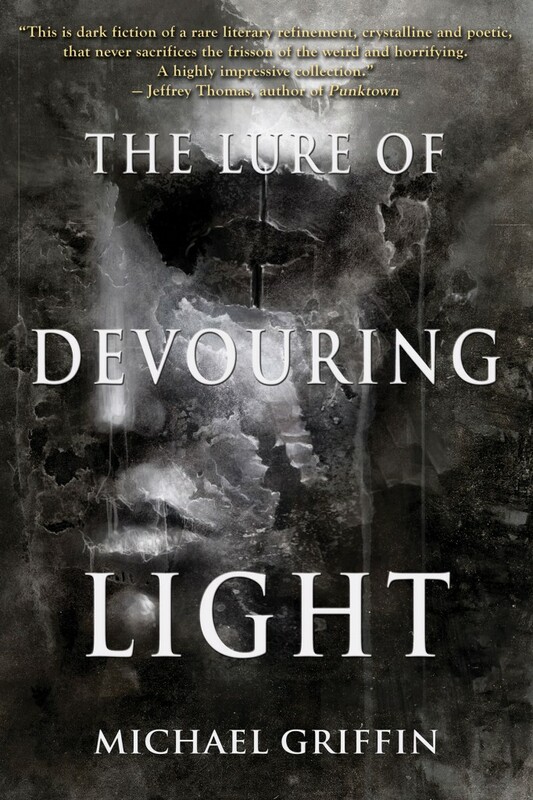 Just recently I finished a collection I enjoyed more than anything I’ve read in some time, and as it’s a work by a relatively new writer (or let’s say “emerging” rather than new, as he’s been at it a while), I wanted to make a point of highlighting it. 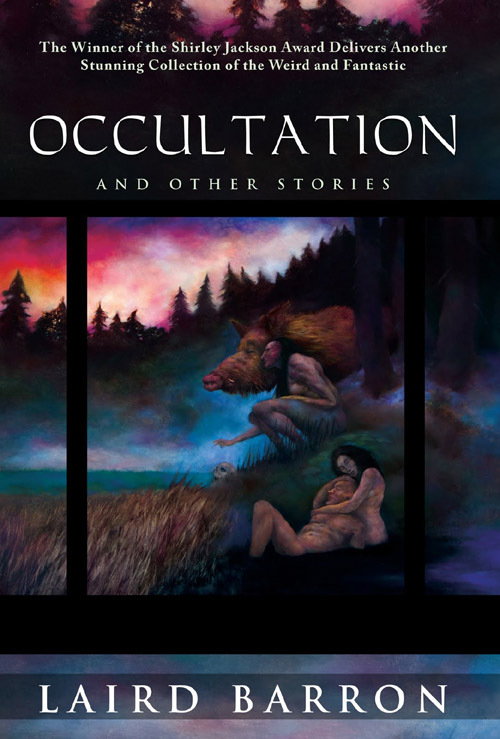 Occultation is the second collection by Laird Barron, a native of Alaska who now lives near Olympia, Washington, and who can also be found here on Livejournal. You might’ve noticed I said “collection” and not “short story collection,” and that’s because many of the pieces here are well into novella territory. Six of the nine stories are over 10,000 words and one, the masterful “Mysterium Tremendum,” is nearly 25,000 words. That’s about half a Great Gatsby worth! The longer format gives Barron plenty of room to develop his characters and settings in detail, and give us a sense of real individuals and actual relationships being affected by the onset of weird and macabre events. In “Mysterium Tremendum,” mentioned above, a group of four men explore wild, vacant land in Washington with the help of a dark guidebook they encounter. Events turn increasingly strange as they come to understand some of the warnings they ignored. In “–30–,” which may be my favorite thing in the book, two researchers observe wild animals in a remote wildland, again set somewhere near the vicinity of the author’s own territory. The two researchers are influenced by their isolation, as well as by things they find in their surroundings. In stories like these, Barron so gradually shifts the reality of these characters that we barely notice the change in their circumstances, from a reality like that which we inhabit, to something very different, and truly dark. The shorter pieces in the collection are worthwhile too. The title story, which observes a young married couple drinking, drugging and sexing their way through a desert vacation, packs quite a punch despite its brevity. I have a hard time remembering the last time I read a single-author story collection (not counting career-summations or “best-of” books by established greats) that was so solid all the way through. I have just as hard a time naming more than a handful of currently-active writers whose new work I anticipate with more eagerness than Laird Barron’s.